Originally published under the name P. Straker, ltd, Straker patterns have been in almost continuous wholesale distribution to yarn shops for more than 30 years. The rebranded company, now known as Straker Classics, continues to sell to the wholesale trade. Orders are welcomed by email, telephone or mail. Terms are found on the Catalogue Order Form. 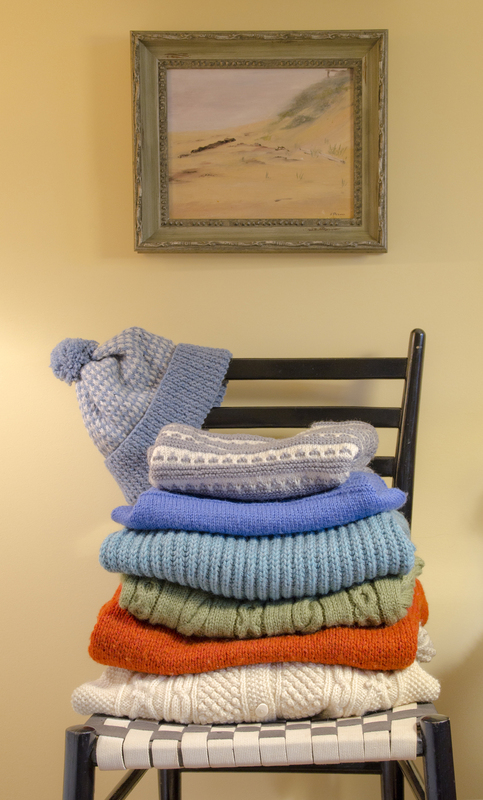 Imagine the counters, tabletops, nooks and crannies of your shop filled with impeccably crafted hand knits, made from a vibrant palette of colors. Our roving trunk shows present designs for everyone, babies and children, men and women, knit in a variety of sizes, with yarns available from popular yarn companies. Transform your shop. We know just how busy you are, and how little time you have to knit shop models. In one fell swoop a Straker Classics trunk show brings drama, color, excellent workmanship and excitement to your shop. Inspire your customers. 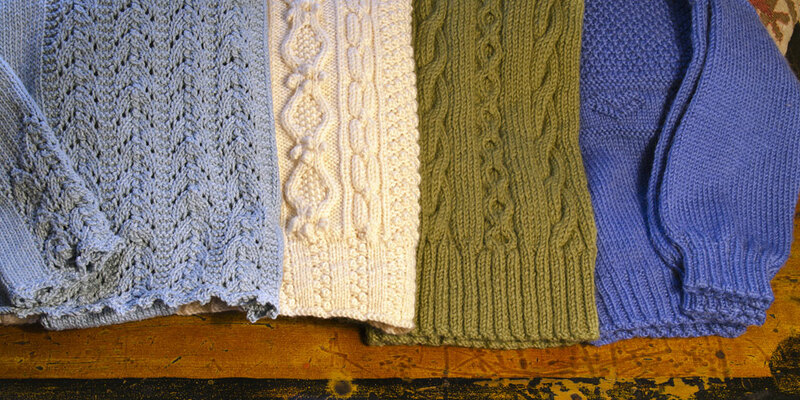 Customers benefit in so many ways from the opportunity to view and try on these hand knits. Our goal is to help you to sell yarn, buttons, needles and Straker patterns. Each hand knit is a silent sales staff! Hosts can maximize this opportunity with thoughtful planning and effective advertising. Hold a show opening, a fashion show or other special events. A Straker On The Road roving trunk show consists of four or five collections of knits that rotate among the participating yarn shops over a period of eight or ten months, depending on the number of shops participating in each show. Each collection stays in your shop for two months allowing ample time for visits from your clientele. Most trunk shows begin in August and finish up at the end of March or May of the next year. 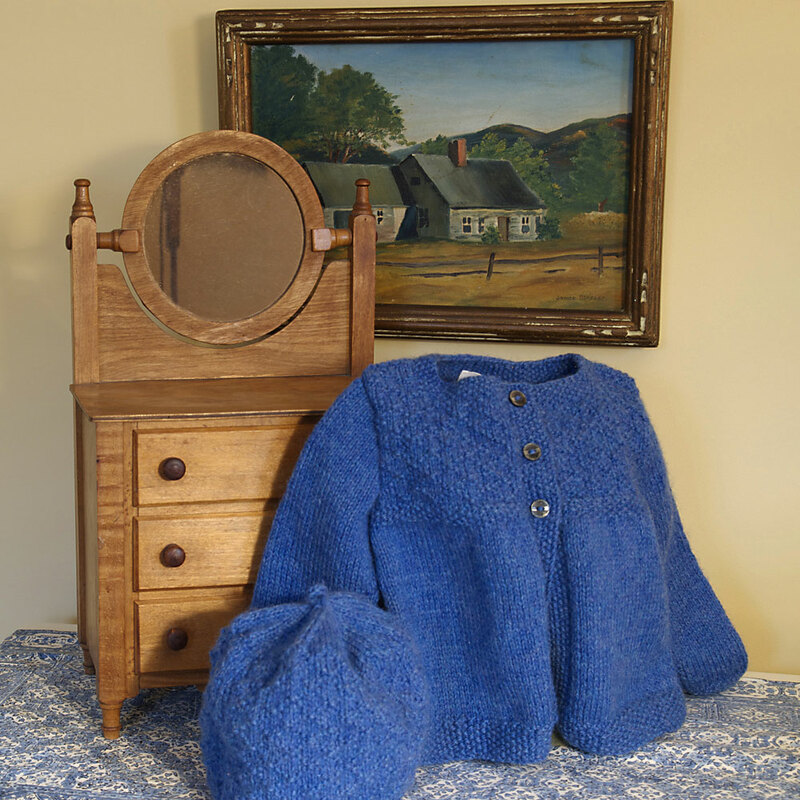 An entire show comprises more than twenty hand knits, many of which are small items such as hats, scarves, mitts and children’s designs. They are grouped into small collections of five to eight models or sets. Your shop will receive one collection at a time. Each garment is tagged with the pattern name, number, size and the yarn’s generic weight, yarn and company. The palette for the models comprises hues, from gray-cast teals to ocean teals; denim blues, cobalt; natural shades of white, grey and black sheep (really a rich, deep brown) and silver greys, punctuated with rust and spring greens and lavender heathers. The yarns we use are of the highest quality wools, alpacas, cottons and blends, but we’ve taken care to keep them inconspicuous and fancy-free. Should you not carry some of the presented yarns, you most likely sell similar ones. It should be noted that most of the yarns used for the more intricate designs are worsted-spun, the smoothest of spins, to enhance and highlight stitch definition. Contact our office for information about trunk show programs in your area. A signed Straker On The Road agreement is completed by each shop before the start of a trunk show. Shops hosting a show are asked to make a 10% discounted minimum purchase of five patterns per design in the show. If more than three copies of a design are in inventory a shop may pass on the minimum purchase requirement. Host shops also receive a 10% discount on all other Straker Classics patterns. Host shops pay for shipping the collections to the next shop. Shipments must be insured and shipped via USPS, UPS Ground or FedEx. We do our best to book the shows within a shipping zone or two to help keep costs down. It is important that you ship the trunk show on your indicated ending date to assure that the next shop receives the show for their agreed beginning date. Shipping and insurance costs will vary depending on the chosen shipping method. It is essential to advertise and promote your Trunk Show thoroughly and well in advance. We appreciate your attention, time and imagination to assure your show is well attended. We all want your show to be a success and reap financial rewards. The same high quality trunk show models used in the Straker On The Road trunk shows are also available in Two For The Road models loan packages. This option allows yarn shops to borrow two or three different Straker Classics hand-knit models for a period of six months. This gives customers time for opportunities to see the models, try them on and also time for customers to return to view them for reference. Packages include knits for adults, babies and children, and feature a diversity of designs. Two or three models will not use a lot of your shop’s precious space so this option is perfect for small shops as well as larger ones. Participating shops complete a signed agreement and are asked to make a 10% discounted minimum purchase of ten patterns of each of the designs chosen. Re-orders with a minimum of 3 per design also receive a 10% discount. After six months have elapsed, the models must be shipped back to the Straker Classics office, insured and shipped via USPS, UPS Ground or FedEx. For detailed information about which design models are currently available please contact our office.